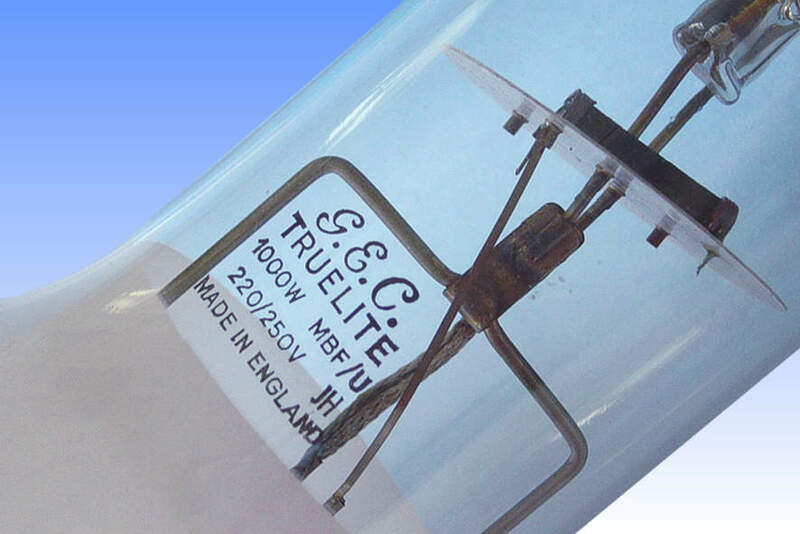 The Truelite series of mercury discharge lamps from Osram-GEC was placed on the market in 1968, initially superseding only the low wattage versions but later being applied throughout the entire range. A new phosphor coating, europium activated yttrium vanadate, was the reason for re-branding mercury lamps under the Truelite name. The magnesium fluoro-germanate phosphor, which had been the traditional mercury lamp phosphor until 1968, emits a deep red colour light at 658nm. However, the coating is itself slightly yellowish and this tends to absorb a certain amount of the blue radiation produced by the arc. 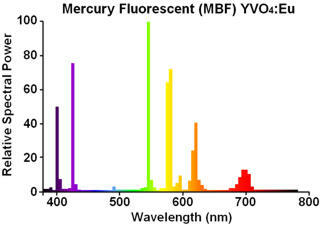 Despite adding some red to the spectrum, the significant blue absorption results in a relative strengthening of the green 546nm mercury line. The net result is that although magnesium fluoro-germanate corrected lamps have a higher colour rendering index than previous phosphors, they impart an unpleasant greenish cast to their environment. However the newer yttrium vanadate, a phosphor originally developed for the red component of colour television tube screens, is colourless. Its red emission peaking at 620nm is not so deep as with magnesium fluoro-germanate, but it is the crucial lack of absorption of the blue wavelengths which led to an overall improved colour appearance without the greenish cast. 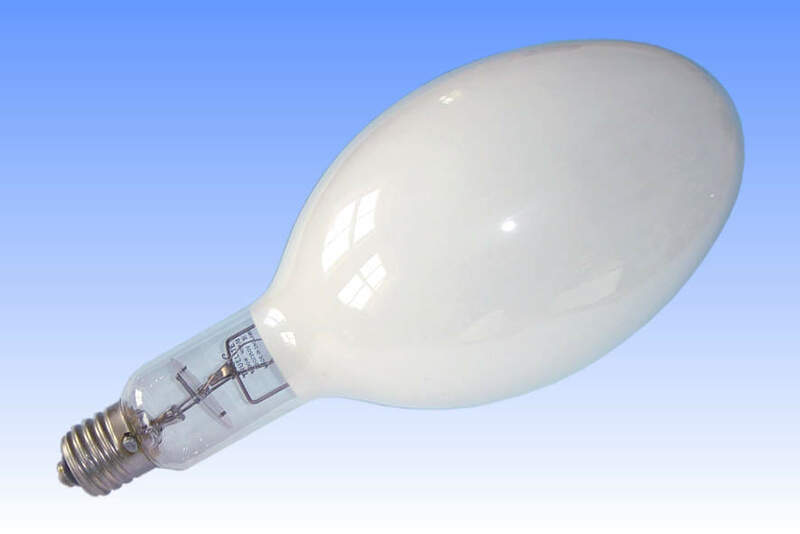 Europium-activated yttrium vanadate is the fluorescent material still employed today in modern lamps. In addition to the new phosphor, Osram introduced a mica disc into the neck of >250W lamps at this time. It served to deflect heat and reduce cap temperatures thus ensuring that the capping cement held firm throughout lamp life. References: 1) Osram-GEC Mercury lamps brochure, 1968.